I’m planning a two-week European tour. If my widowed mother has a medical emergency while I’m traveling, am I covered if I drop everything and head home? An event that causes your trip to be cut short falls under trip interruption coverage. 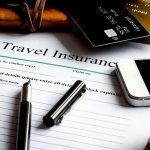 One common scenario: the serious illness or unexpected death of a close relative such as a mother, brother or child, says Megan Moncrief, director of sales and marketing at squaremouth.com, an online travel-insurance comparison site. To make a claim in this situation, you’ll need a doctor’s note to get reimbursed. And your relative has to have been medically fit at the time you bought the insurance (which, again, you must buy on a timely basis). I’d like to go on a Caribbean cruise this fall. What if it’s canceled because of a hurricane? Or what if my flight to Miami is delayed and I miss the boat? A cruise called off as Hurricane Jerry barrels toward Florida would indeed be covered by trip cancellation insurance, assuming you bought it before the hurricane was forecast. Some policies also provide “cruise only” missed connection coverage that will pay for flying you to the next destination port if you miss the boat because of flight delays. Check a policy’s wording carefully: You might not be covered for a delayed flight if your plane’s scheduled arrival falls too close to your ship’s departure. And if a cruise is rerouted, not canceled, to avoid a storm, you probably won’t get any reimbursement. But some plans may let you cancel if your destination is subject to a hurricane warning close to your departure date.